Photos of Perth in the late 1890s and early 1900s have been an invaluable source of information and inspiration for my next book. They’ve helped me to add details about streetscapes and buildings and describe the clothes that people wore at the time. 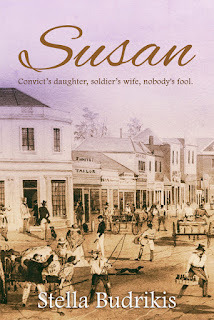 Good news for anyone with an Australian Amazon account who has been waiting for a paperback version of my book “Susan“. It’s now available on the Australian site. I was pleased to see a review of the book appeared on the Australian Women Writers Challenge in its round up of History, Memoir and Biography in April.